They are a starting point for modification and experimentation. The manual supplied to the export market lists suggestions and ideas for modification and even recommends tape be used if you want to cut down on the light leaks (as if light leaks were by design). So the weakness of the Holga became the selling point in an upside down, the west will buy anything if you market it correctly, world. Don't take this the wrong way, I get that the Holga became a counterculture backlash to over edited digital gloss and I thank it for that. I just feel like less of a rebel fighting the man when the marketing material is selling me on fighting the man by buying their product. Sorry just the rants of an old man who watch the '60 become the '70 and the hippies and folk music lead to glam rock and eventually to disco. Rant over. Power to the people, fight the man. In 2015 it was announced that the Holga was no longer being produced. R.I.P. Holga! Then as of 2017 it was announce that another factory in China was going to start producing the Holga again. Long live the Holga! As of this date the 120N seems to be available again. 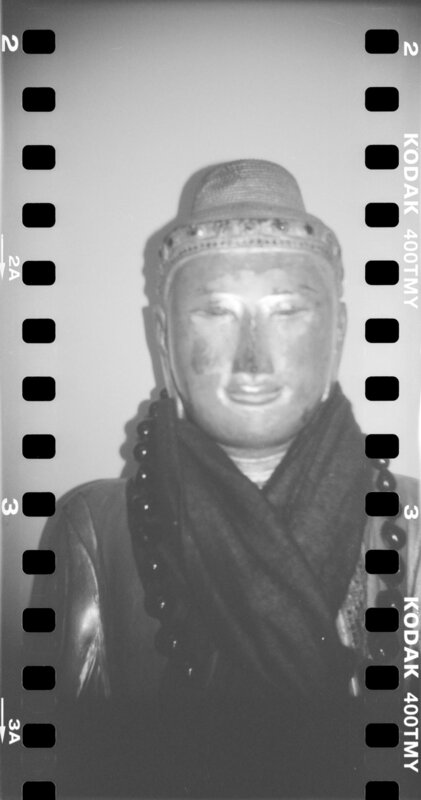 I previously shot the Sprocket Rocket and loved the look of having the image include the sprocket holes. I saw that people were putting 35mm film in a Holga 120 to get a similar effect. So I grabbed this pair. Mine are Helga 120 CFN. They have a plastic lens and a flash with color filters. One of them arrive with a roll of 120 film in the camera. It also had something else in there. When you moved the camera it sounded like there were rocks inside. I was surprised that the shutter still functioned. The Flash did not work but everything else (not that there is much else) seemed fine. I shot the rest of the roll and opened the back. No rocks but the batteries had come loss and were banging around. Worse the batteries were very old and corroded and the inside was covered in battery corrosion. I developed the film not expecting much. What I got was some images from the previous owner and some wild frames from the battery acid leak. Not sure what your brain looks like on drugs but this is what my film looks like on acid. I shot a roll of B&W in one camera and color in the other to play with the flash and just get a feel for the cameras. I like what I got and hope to figure out a project just using the Holga 120 and 35mm film. If you want to run 35mm film in you 120 Holga or other medium format camera, there are several options and ideas. YouTube had lots of suggestions. I settled for a couple of plastic spacers there were 3D printed to go on the 35mm film canister and just taped the film to the take up spool. Then be sure to unload it in the dark. You can buy the spacer or if you neighbor's 10 year old has a 3D printer, get him/her to do it. What? I live in Seattle everyone works for Microsoft or Amazon and all the 10 year olds have 3D printers.